Talk about making an entrance: Jukebox the Ghost are back, and in a big way. 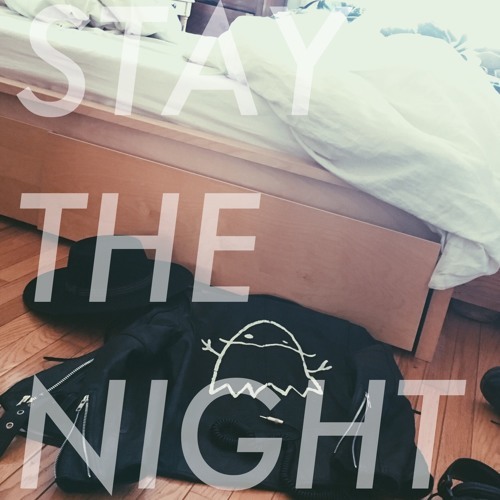 The decade-strong indie pop band returns today with “Stay the Night,” a passionate, uplifting anthem about seizing the day (or night) and living in the moment. Sporting a huge vocal line, vibrant melodies and colorful, full-bodied harmonies, “Stay the Night” is musical medicine, a powerful pop song that radiates with positive energy. 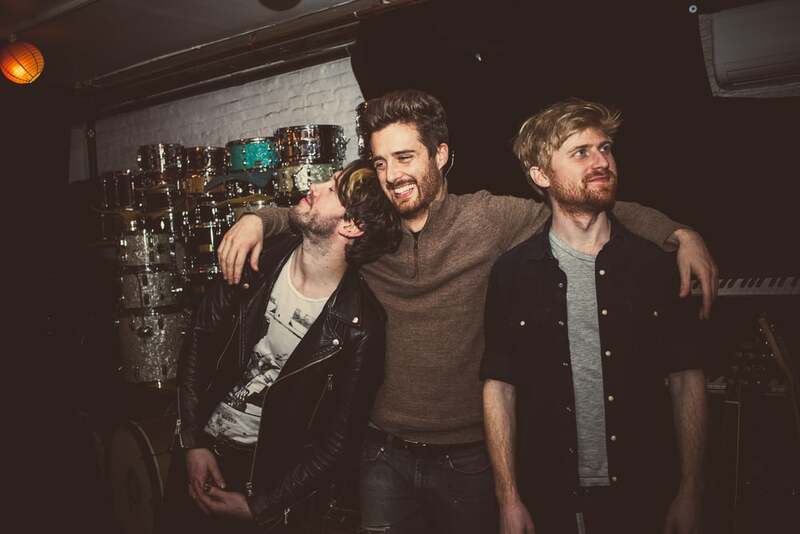 Atwood Magazine is excited to feature “Stay the Night,” Jukebox the Ghost’s anthemic new single and the band’s first studio release since 2014. Consisting of pianist/vocalist Ben Thornewill, guitarist Tommy Siegel, and drummer Jesse Kristin, Jukebox the Ghost have spent the past 10+ years developing and redeveloping a sprightly blend of confident, beaming “power-pop/piano-pop” songs that glow with unbridled sincerity and unnervingly catchy lyrics. 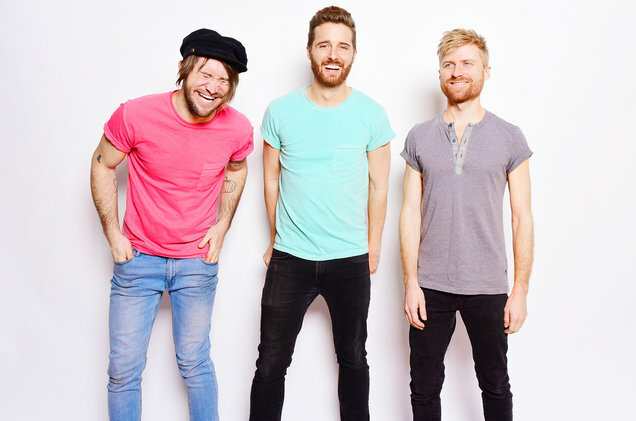 If one word can capture the spirit of Jukebox the Ghost, that word is fun: From their humble origins in DC to their current home in Brooklyn, the band have consistently delivered smile-inducing songs that are as sharp as they are deep. “Stay the Night” may prove to be Jukebox the Ghost’s biggest song yet; its bombast and fanfare lend it the kind of firepower and charisma that – dare I say it?! – hit records are made of. It evokes the gusto of recent chart-toppers Walk the Moon and fun. with the harmonic finesse, charm, and undeniable character of legends like Queen and Journey. Jukebox the Ghost won’t stop believin’. It’s a clever and honest homage that keeps listeners on their feet, connecting a few extra dots while appreciating the truth of those simple, yet resonating words. We even hear a bit of Journey-like piano playing in the lower register at times; faint as it may be, it is influence like this that allows music to live on in every passing generation. Of course, this song is most musically reminiscent of another great artist: Queen. Jukebox the Ghost have paid tribute to Queen over the past two years with their annual “HalloQueen” show in October, and their latest release draws heavy inspiration from songs like “Don’t Stop Me Now.” The credit feels particularly strong in a breakdown that finds the trio gallantly harmonizing in Queen’s distinctive operatic style: “Ooh, how I really want you,” they croon as their voices swell in perfect unison. Everything about this song is majestic: From Thornewill’s particularly impressive piano performance, to the band’s intense melodic arrangement and careful attention to dynamics. Jukebox the Ghost are constantly on, holding us captive for three minutes of high-energy delight. Few songs are as zealous and full of life: Queen had “Don’t Stop Me Now,” Journey had “Don’t Stop Believin’,” Walk the Moon had “Shut Up and Dance,” and Jukebox the Ghost have “Stay the Night.” Fueled by heartfelt determination and an absolute refusal to quit, “Stay the Night” is tenacious, unrelenting, and utterly captivating. Watch this song leap to the top of Alt Radio, and beyond. Officially out Friday, 4/7 via Wax Ltd., “Stay the Night” is the first of more new offerings to come from Jukebox the Ghost, whose eponymous fourth album came out in 2014 via Yep Roc Records and was re-released in 2015 via Cherrytree Records/Interscope. “We loved the way [the song] sounded and wanted to put out something this spring as we continued to work on our next full album,” explains Ben Thornewill. “The hope is there will be more releases to come in the not too distant future!” Backed by a highly successful Kickstarter campaign, the band independently put out their first live album, Long Way Home: Live, in 2016. We invite you to bask in sonic euphoria as Jukebox the Ghost seize the moment – and we dare you not to smile.